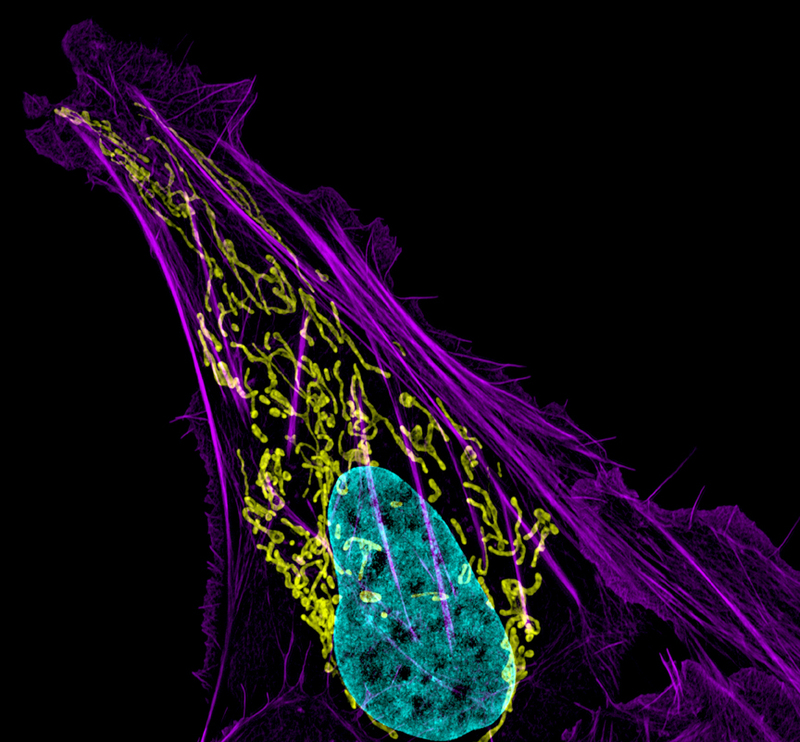 This stunning picture of a human bone cancer cell won artistic accolades: 3rd place in the Nikon Small World Competition. DNA, the blueprint of life, is actually blue in this photo. The yellow squiggles are little powerhouses called mitochondria that generate ATP ‘fuel’ for the cell. The purple wisps are filaments of actin, which help the cell move, keep its shape, and traffic chemicals from one part of the cell to another.